After her sixth high summer, Taliyah wandered from the caravan in search of a lost goatling that had been placed in her charge. Determined not to disappoint her father—the master shepherd and headman of the tribe—she tracked the young animal into the night. She followed the hoofprints through a dry wash to a box canyon. The little beast had managed to get high up the rock wall, but could not get down. Startled cries from Taliyah’s tribe broke her out of her spell. An imposing braid of sharp rock reached up to the light of the moon. Taliyah looked at the shocked faces of the people who surrounded her. Her will over the stone broken, the earthen tapestry crashed down. Taliyah’s mother ran to her only daughter, to protect her from the falling rock. 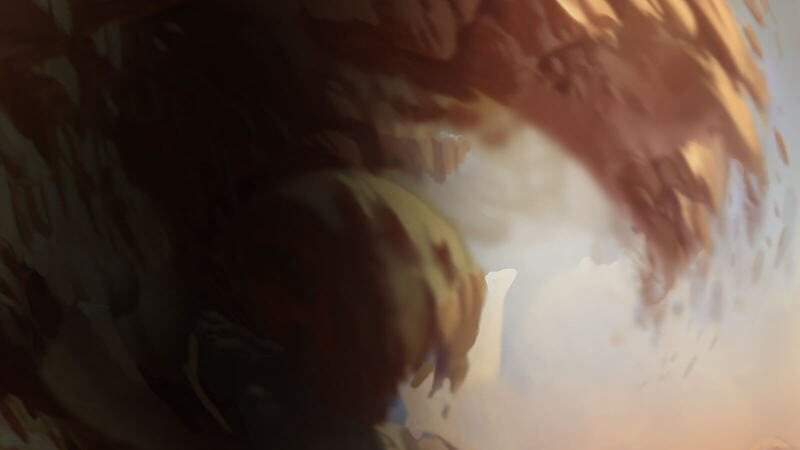 When the dust finally settled, Taliyah saw the destruction she had woven, the alarm on the faces of her tribe. But it was the small cut across her mother’s face that justified Taliyah’s fear. Though the cut was minor, Taliyah knew in that moment that she was a threat to the people she loved most in this world. She ran into the night, so weighed down by despair that the ground trembled beneath her feet. 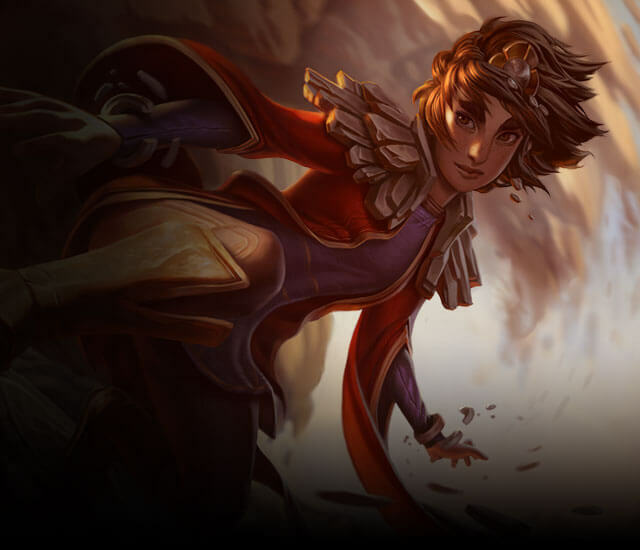 Taliyah found herself being pulled toward one of the capital’s great gates by the woman, and driven from behind by a crowd of strangers who had decided at the last minute not to brave the sands by themselves. Still, there were a few groups clustered near their circled beasts, determined to face the storm as Shuriman caravans had for generations. In the distance, strange and threatening bolts of lightning crackled at the edge of the whirlwind. Old Shuriman traditions might not survive the storm’s passing. “I must find my family,” she whispered.